His dream became a reality on the evening of July 29, 2015 at a popular eatery in the Galleria area. Raising their glasses and singing “Las Mañanitas” guests not only celebrated Salinas’s new literary adventure, but also his cumpleaños. While many of the attendees were members of the law profession, the gathering also included recognized educators, activists, entrepreneurs, and politicians. The book, according to Salinas, is a journey based on his experiences, recounting how the court system puts Latino defendants at a disadvantage due to not understanding the legal process as a result of language barriers. Salinas described how, even today, if his wife who is Spanish-language dominant, was to face a criminal charge, the system would not provide her with the elements to obtain fair representation. Her process would become one more example of a change that is long overdue. We want to wish Judge Salinas great success with “U.S. 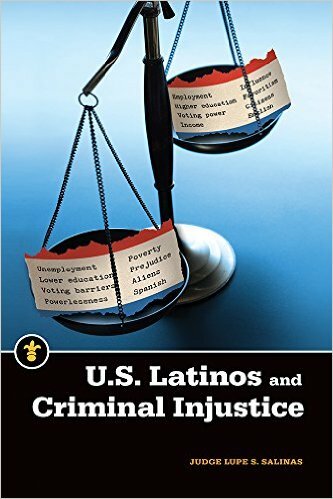 Latinos and Criminal Injustice.” To order the book, visit Amazon. 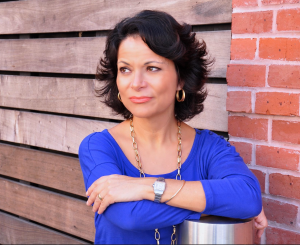 Hispanic Houston contributor Claudia Deschamps is a former journalist for Univision and Telemundo, current Houston-based communications professional, mother of two small and an active member in various community organizations.